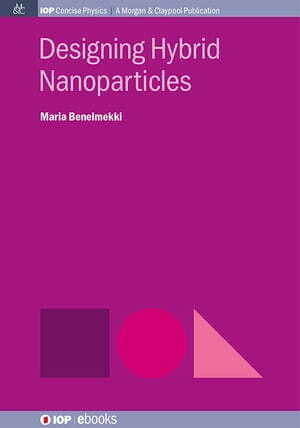 Collins Booksellers - Designing Hybrid Nanoparticles by Maria Benelmekki, 9781627057028. Buy this book online. In the last few years, several “bottom-up” and “top-down” synthesis routes have been developed to produce tailored hybrid nanoparticles (HNPs). This book provides a new insight into one of the most promising “bottom-up” techniques, based on a practical magnetron-sputtering inert-gas-condensation method. A modified magnetron-sputtering-based inert-gas-condensation (MS-IGC) system is presented, and its performances under different conditions are evaluated. Designed for graduate students, researchers in physics, materials science, biophysics and related fields, and process engineers, this new resource fills a critical need to understand the fundamentals behind the design and tailoring of the nanoparticles produced by the MS-IGC method. It shows that the morphology, the size and the properties of the nanoparticles can be modulated by tuning the deposition parameters such as the energy, the cooling rate, and the collision and coalescence processes experienced by the nanoparticles during their formation. The mechanisms of formation of different HNPs are suggested, combining the physico-chemical properties of the materials with the experimental conditions. This book illustrates the potential of MS-IGC method to synthesize multifunctional nanoparticles and nanocomposites with accurate control on their morphology and structure. However, for a better understanding of HNPs formation, further improvements in characterization methods of aggregation zone conditions are needed. In addition, the optimization of the yield and harvesting process of HNPs is essential to make this method sufficiently attractive for large-scale production.